NYX was once a brand that could do no wrong in my eyes, that is, until I bought their Dream Catcher Palette which contained some of the worst eyeshadows I’ve ever had the displeasure of swatching and don’t even get me started on their Lip lingerie Collection. An area in which NYX do nail it, however, is their range of base products. Everyday I find myself reaching for the same three products: Pore Filler (£11), their Matte Finish Setting Spray (£7) and the HD Studio Finishing Powder (£8). The best part? They are all affordable dupes of some bestselling high-end products that cost nearly triple the price. Pore Filler is an affordable Porefessional dupe that works wonders on all the visible pores on and around my nose and chin. It also creates a flawless base that helps my makeup to glide on smoothly, whilst significantly increasing the longevity of my makeup. The downside? The consistency is very strange, it’s lumpier than Porefessional and comes out the tube resembling peachy coloured cottage cheese, but I adore the formula so who really cares? I’ve also read really positive reviews about the NYX Angel Veil which is currently at the top of my payday wishlist. Is it just me or are setting sprays a relevantly new trend or have I been living in a cave? I’ve had a bottle of Urban Decay’s All Nighter on my dressing table for years, but it’s only until recently I’ve noticed every beauty vlogger drowning themselves in the stuff. The NYX Matte Finish Setting Spray is, again, more affordable than All Nighter and I actually prefer it. There’s something about the formula of UD sprays that really irritate my sensitive skin. This seals in my make up, however, I find it works better by spraying it onto a beauty blender and really pushing it into my skin than just spritzing. Finally, my all time favourite NYX product, so far that is. This translucent powder sets my foundation perfectly. A little of this goes a long way and I use my Spectrum C03 Flawless Finish brush to pat this gently into the skin, paying special attention to areas where I apply concealer to get rid of any shine and prolong it’s wear. The only downside is the packaging. I find the lid of the jar tends to get stuck really easily and is a nightmare to get back off. I had to throw away nearly a full jar because it wedged itself shut. Using this combination of products from NYX helps to make sure that my makeup doesn’t budge all day. NYX are still my favourite drugstore brand, regardless of a few dud products I’ve tried a long the way. I’ve yet to try a brand whose products are consistently high quality throughout their entire collection. 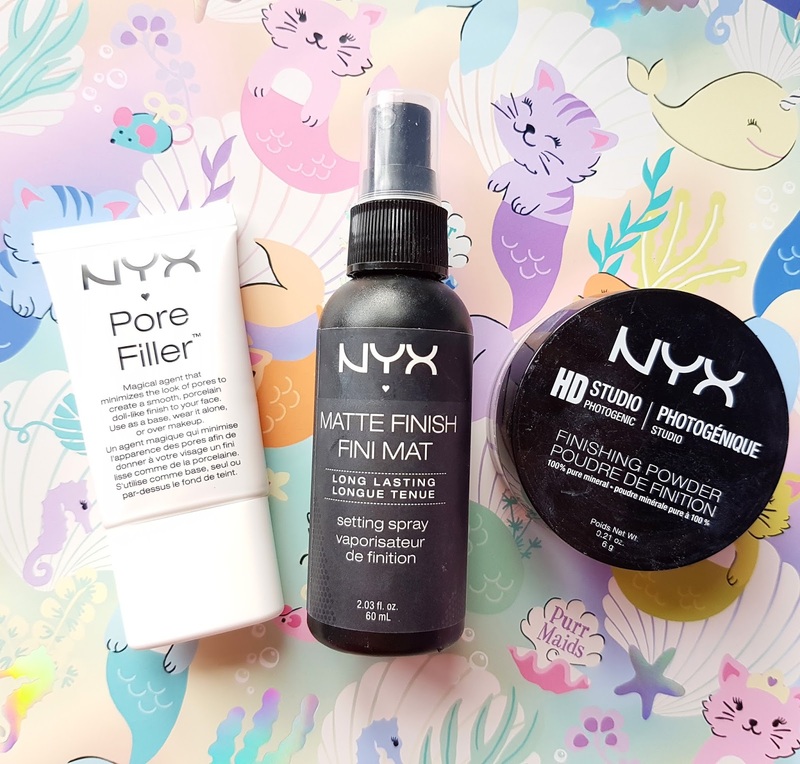 Have you tried any NYX products recently? "Let’s Get Organised with Busy B | Mama & Blogger Edition"
"Fed is Best | Why I Don’t Breastfeed & Why That’s Okay"